Global engineering technologies company, Renishaw is holding a Community Open Day at its modern Stonehouse manufacturing facility on Saturday 28th April. The event will form part of the inaugural Stroud Festival of Manufacturing & Engineering Week, and the site will be open to visitors from 10am to 3pm. The Stonehouse site houses 83 latest generation CNC machine tools, including specially modified Renishaw systems that produce over 400,000 machined parts each month. Visitors can also see the milling machines designed and manufactured by Renishaw to manufacture dental crowns and bridges. Visitors to the technically advanced Stonehouse site will be able to look inside one of the UK's most efficient precision-engineering operations, with a bright and clean air-conditioned environment, a ceiling structure designed to reduce noise, and a state-of-the art extraction system to eliminate airborne contaminants. Purchased in 2004, the site was subsequently refurbished to create a modern manufacturing facility. 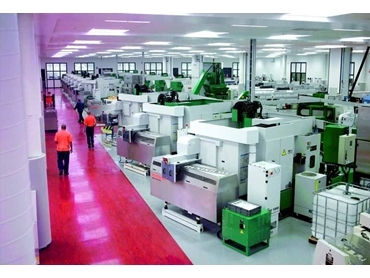 According to Gareth Hankins, Renishaw's UK Manufacturing Director, a key aim during the refurbishment was to build a pleasant place to work for employees, while also presenting a positive image for UK manufacturing to visitors from across the world. Renishaw Oceania represents the Renishaw Group in Australia and New Zealand.